Jura has perfected the complete brewing process for short speciality coffees. That’s why the ENA Micro 90 prepares them to the same standard you would expect in a coffee bar. The six level grinder ensures that coffee beans are ground quickly yet gently to preserve the aroma. Medium roast beans are highly recommended. This product has a 1 year or 5,000 cup warranty, whichever comes first. 2 in stock, can ship immediately. More will ship from us in 6 to 8 days. 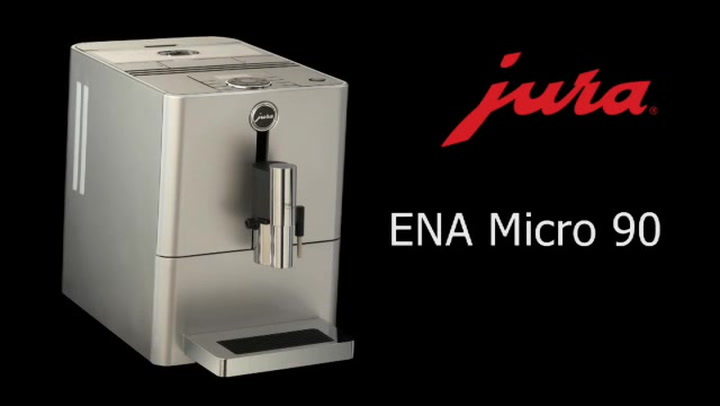 View more from Automatic Bean to Cup Machines, Jura Coffee Machines. I purchased one of these in 2014. Best purchase ever made, makes a perfect cuppa (of whichever kind) several times a day! First thing to switch on every morning!